Last week, Upper Sixth Form artists travelled to two London galleries in order to research and be inspired by seeing artwork first hand. 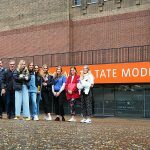 In the morning it was the well-known and popular Tate Modern, while in the afternoon, we moved to the much smaller Parasol Unit for Contemporary Art. 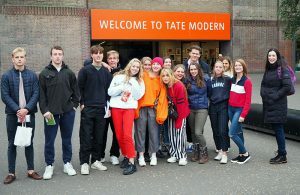 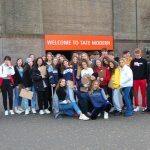 At Tate Modern, our students had come prepared and quickly went to explore, finding the artworks they needed to see in order to support their A Level studies. 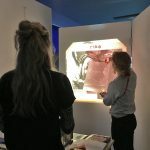 The afternoon was different and a helpful talk into the mixed-media works of Heidi Bucher by the curator of the exhibition gave us some context for Bucher’s strange, intriguing and beautiful works. 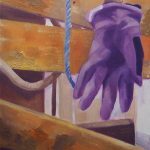 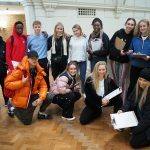 Students returned to Cranleigh galvanised with new ideas and inspiration.